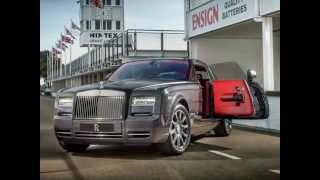 Rolls-Royce has unveiled a bespoke variant of the 2014 Rolls-Royce Phantom Coupe, which is inspired by the unique atmosphere and history of the Goodwood motor circuit. 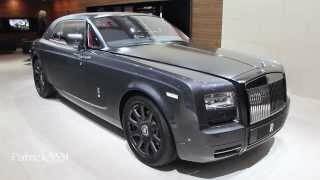 The car was commissioned by the official Rolls-Royce dealership in Dubai. 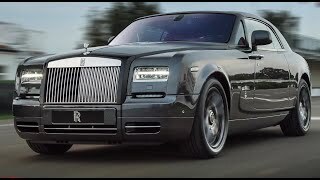 The difference between the Bespoke Chicane Coupe from the regular Phantom Coupe is its unique Gunmetal exterior paint which is contrasted with a matte black hood and matte black windscreen surround. 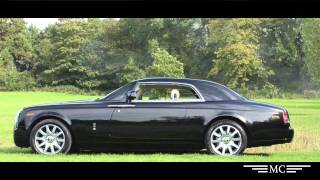 For the first time in a Rolls-Royce there are coloured wheels matching the main exterior paint finish. A traditional interior wood-finish makes way for carbon fibre, alluding to the materials used in modern racing machines. It also features a chequered flag in the seats, an individual plaque on the doorsill, and an engraved plaque featuring the circuit’s layout. 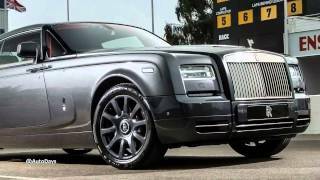 The 2014 Rolls-Royce Bespoke Chicane Phantom Coupe is powered by the same 6.75-liter V12 engine as the standard Phantom Coupe. That results in a sprint from 0-100 km/h in just 6.1 seconds.